Originally we thought that there was just one ski area on Cate's Hill in Berlin. However, thanks to several NELSAP readers and a few newspaper articles in the Berlin Sun, we have learned that two ski areas operated on Cate's Hill. The first was Cate's Hill Development, and for more info, click here. 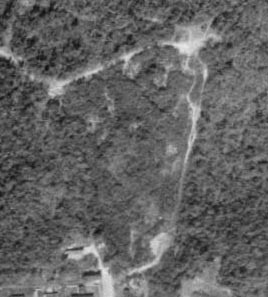 That area operated from the summit and paralleled Cate's Hill Road to Rte 16. The second development on Cate's Hill was located a bit west, at the end of 12th Street. According to Paul Croteau, this area opened in the mid 1960's, and closed in the mid 1970's. According to Rob Blais, the area may have briefly reopened during the early 1980's. 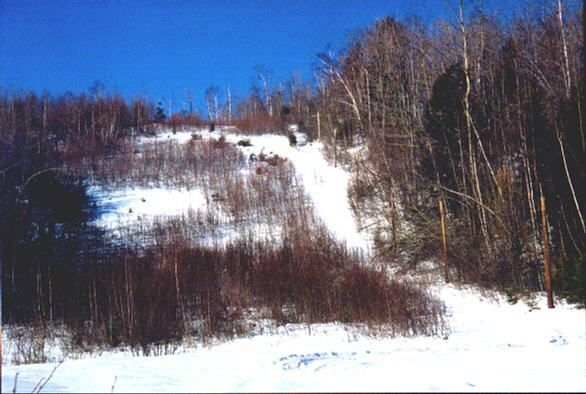 The area had a main slope and a few woods trails. To read the first article on NELSAP and lost ski areas in the Berlin area, click here. To read the follow up article on NELSAP, click here. Paul Croteau: I have a bit more info regarding this area. The rope tow was added (or possibly re-added) around 1965. It ran continuously until roughly 1973 or 1974. The jump, located to the left, looking up, was called the "Little Nansen" and was used extensively by the local high school ski team, of which I was a member from 1971 - 1973 (captain in 1973). It was a training ground for those of us who wanted to jump the Nansen, further north in Berlin (actually, Milan). On many occasions, we would jump at night while the lights (added in 1969) shone brightly (?) across the slope. I have many great memories of this area, and was sad to see that it closed when I returned from College. Mike Dumont: Mike Dumont: My name is Mike Dumont. I grew up in Berlin, NH and lived just down the street from the 12th street ski area. I never skied there since I only took up skiing in later years. I used to play hockey at the outdoor rink at the base of the ski area, although this also was after it closed. My dad built a house during the years 1977-79. We moved in during the summer of 1979. I remember that first winter of 1979-80 the ski area was in operation. They used to have night skiing. The whole hill was lit up and you could hear the rope tow going until 10 or 11 pm. I believe the winter of 1979-80 was the last year it was open. The area was shut down, from what I remember because the cost of liability insurance was too much for the city of Berlin. For a full day, but the slope was so small that we usually just walked it and saved the money. I think it closed again a year or two later due to lack of interest/money. There was a small jump on one side that I think the high school ski club used for beginner jumping lessons before moving the students on to the larger practice jump up the road at the Nanson ski jump. As for the 12th street ski area, I never actually saw the "lodge" open. I don't know if they had staffing problems or if I was just never there on the right days, but it was locked the few times I skied there. 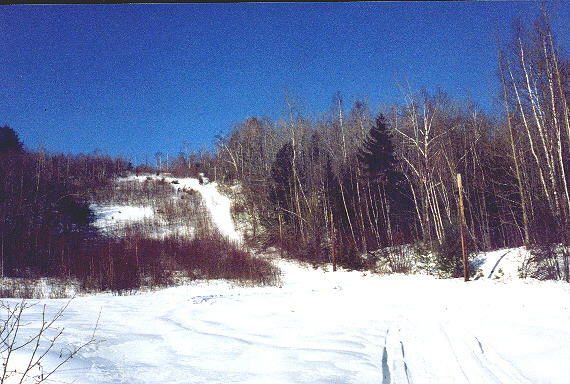 Cate's Hill as it appeared in the late 1990's. The rope tow towers are still standing on the right side of the trail. Thanks to Dave Hilton who took this picture! Another view of the ski area, a little further out. 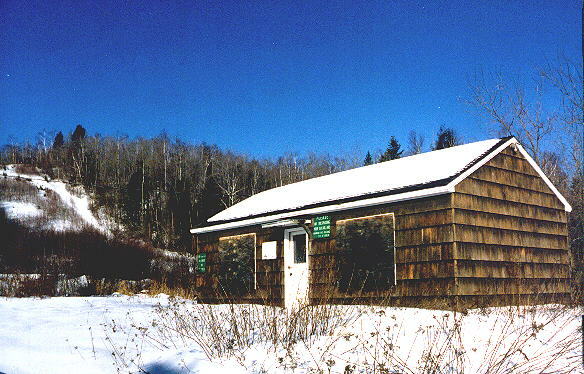 The base "lodge" of the ski area, still standing.